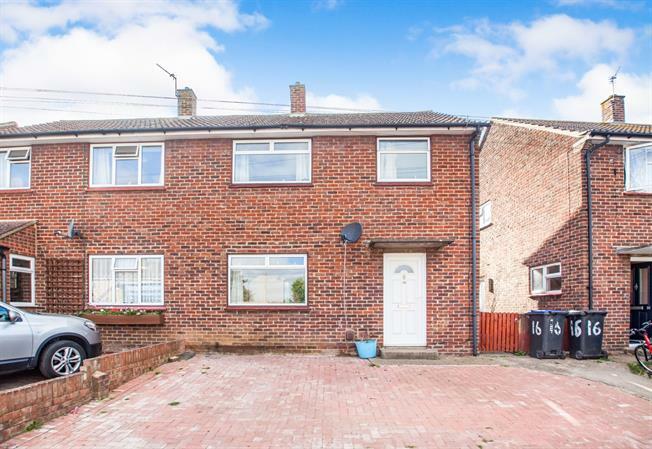 3 Bedroom Semi Detached House For Sale in Canterbury for Offers in excess of £230,000. On Entry through the front door you will arrive into the hallway which leads through to the lounge with open archway into the dining room, A door from the dining room takes you into the kitchen where you will also find access to the garden. To the first floor you will find two double bedrooms and a third single room along with the family bathroom and separate WC. Externally there is a block paved driveway for two cars.